Being a part of a university, whether you’re a student or faculty member, shows your commitment to your own personal development as well as to your academic institution and its surrounding community. You, your peers and your colleagues all strive to better yourselves and each other, and this in itself is an important accomplishment. In between studying and grading, however, life happens. Graduation festivities, retirement and holiday parties, departmental meetings and training seminars, gala events and planning retreats bring people together outside the classroom. There’s a lot for you to consider, including food, drinks and the atmosphere you want to create. It takes passion, creativity and coordination to plan a smooth and successful event for the important colleagues in your life. Our university clients are by far some of our most loyal clients that we’ve had the pleasure of working with over the years. The first name basis we’ve established makes our work together that much more enjoyable. This is why we do what we do—relationships. These relationships not only fill us with joy, they also help us to ensure seamless events. They make us comfortable maneuvering the logistics of an educational institution’s policies and procedures. As respectful, detail-oriented professionals with years of experience, we can easily operate within any academic environment. 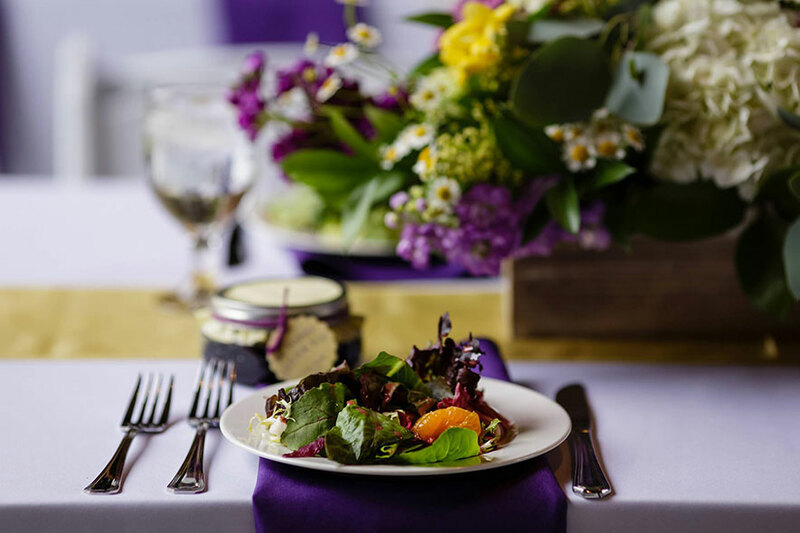 We understand that the budget for your event doesn’t always match the needs of the event. Our menus are made to be flexible so that we can easily work within the budget your department has set. Many clients mix and match our cocktail and dinner menus, which are filled with fresh, delicious seasonal ingredients. When it comes to food, there is a purpose to everything, and we care about that purpose. 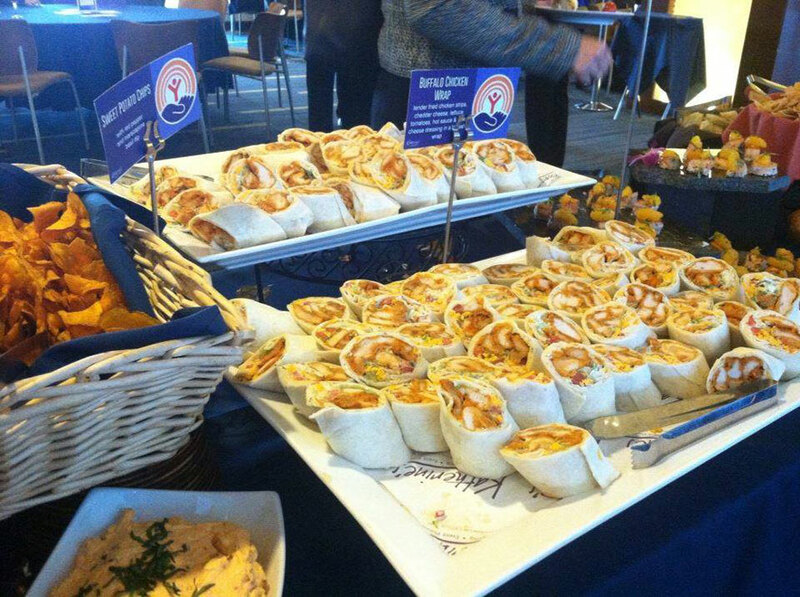 Our team takes the time to understand your event from start to finish and will plan your menu accordingly. We can easily accommodate guest allergies and special dietary requests or restrictions as well. Knowing who will be in attendance, the reason for your event and your guests’ preferences help us to ensure a successful event. We recently catered an exceptionally fun retirement party. The honoree loved hats, so we arranged a different hat-shaped cake for every guest table. Dinner included chef-attended stations that lasted throughout the entire evening. It was a lively event, and every guest left happy. It’s those seemingly small details that matter to us. Our creative team looks for these essential pieces in order to best tell a story or convey a message. This is why we do our best to appoint the same Catering Sales Coordinator to specific departments and clients. We want every guest to feel comfortable with us and be able to count on us for their next event. Planning for important university events—anything from a small breakfast to an entire department’s holiday party—should be handled with care. The same goes for student events. 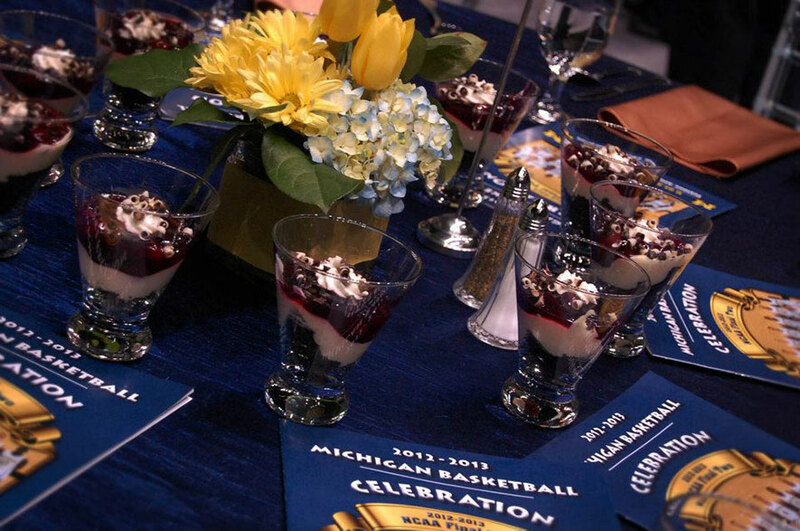 We love creating special experiences for all of our university partners. Your ongoing learning and dedication to your community inspire us to do the same. 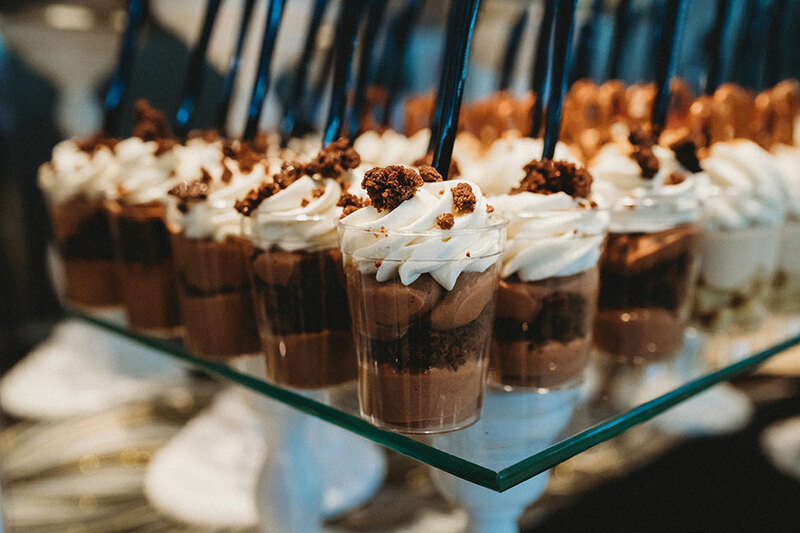 If you’re interested in hearing more about what we can do for your next university event or have general questions about college catering, feel free to reach out!